In today’s date, one can easily start a blog and follow various methods to make money from blogging. One misconception about blogging is that you need to work day and night to make money. There’s some truth to that if what you’re trying to do is create a name for yourself and/or build a brand. But if your goal is simply to earn money within a short period of time (but with long-term gains), then there are many shortcuts available. 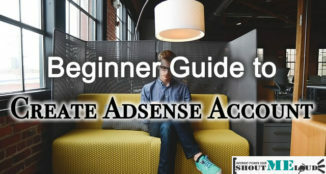 In this guide, I will give you a detailed example of a micro-niche blog that I created which is currently making $174/month from AdSense, and an average of $100/month from affiliate marketing. All of this only took a few hours of work to set up. This is a blueprint for creating a micro-niche blog, and you can use it for any topic or niche that you like. In my case, I didn’t use a content agency, so I picked up a niche that I enjoy reading and writing about. This micro-niche blog has made me over $2000 in the past year, requiring only 40-50 hours of work! Why start a micro-niche blog? First of all, following many algorithmic changes from Google, niche websites now rank higher in search engines than non-targeted sites. If you create a high-quality website on any particular topic, your chances of ranking higher are stronger than any existing authority website out there. Plus, you won’t have to worry day and night about updating your blog. Once you’ve done the hard work to create your niche site, the next step is to wait for the money to be deposited into your account. So let me give you the micro-niche blog blueprint that I’ve created. Remember: This is the exact method that I followed, and you can follow this blueprint to create a successful micro-niche blog of your own. The most important thing you need to do is find a niche that you are comfortable with. Make sure to think about the potential commercial and popularity aspects of your niche. 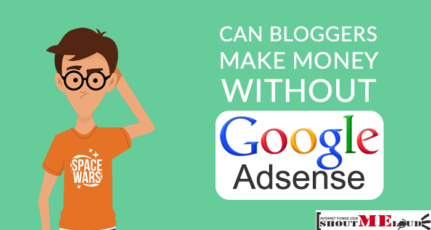 Since the target is to make money from the blog using AdSense, it is very important to choose a topic that is popular in countries like the U.S. and the U.K., and that has high commercial value (high CPC). In my case, I chose a topic called “Cydia”, which is a jailbreaking tool for iOS devices, and very popular among iPhone users. I chose this topic because I was very comfortable with the subject matter, and the expiration time on this topic was quite high. Furthermore, it had a good search rate on Google. To find out things like CPC, Google search rate, popularity, and competition, I used LongTail Pro. April 2019 update: This niche is now saturated, but this micro-niche blueprint is still valid. For keyword research, I used SEMrush. I like SEMrush because you just need to put the website link of the most popular site in your target niche & it will show all of the keywords that site is already ranking for. The next step is to get a nice domain name. Since it’s a micro-niche site, I would suggest including your keyword in the domain name. Ensure it doesn’t look spammy & add a little flavor to it by using words like “Guide”, “Users”, “101” & so on. For my domain, I settled on CydiaGuide.com. This is the most interesting part, and it’s a little time-consuming. But it pays off well in the long run. I usually suggest using a Google docs spreadsheet to jot down your research to keep everything organized. Choose topics that would be in demand for a long time. Design this micro-niche site like Wikipedia. 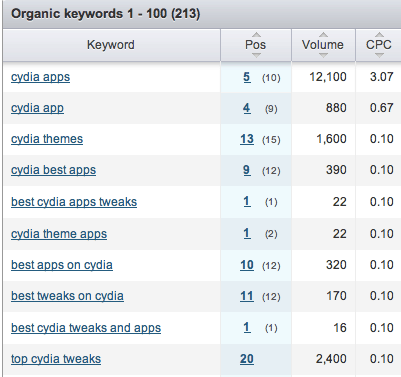 Choose keywords that are driving traffic and have a high CPC. Instead of being particular about choosing only high AdSense CPC keywords, I created a mindmap of content, which was more like an FAQ. Advantages and disadvantages of using [topic]. These were some of the basic ideas I started with before getting into detailed keyword research. I then used SEMrush to find keywords. 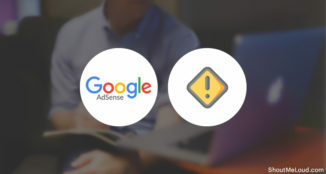 Read this guide to understand how SEMrush will help you find keywords that generate more AdSense revenue. Next, I chose a few related blogs on my topic & as I mentioned earlier, I used the same tool (SEMrush) to find the precise keywords which are already driving traffic to these sites. Note: SEMrush is a paid tool, but you can use this link to try SEMrush completely free for 14 days (a value of $199). By the end of this process, I had at least 20+ topic ideas for my micro-niche website! Next, I spent a few hours writing 4-5 blog posts every day, and then one post each day for the next several days. As I said earlier, if you are not good at writing, there is no harm in hiring someone to write for you. Managing a blog takes a lot of work, and it’s important to make sure you have good content to manage. This part of the set-up was very easy for me. If you know how to create a blog , then this step will be easy for you as well. Beyond this, your content will be the main attraction. Hosting: Bluehost – only $2.95/month with one free domain. Check out this tutorial to learn how to install WordPress on Bluehost. Theme: Astra theme – plug and play. Yoast SEO for site SEO (click here to see the tutorial). Akismet for preventing comment spam. Jetpack by WordPress for multiple purposes, including Social media share and stats in dashboard. No Self Pings to stop self-pinging! SEO Friendly Images for image level SEO. Took extreme care of content quality and On page SEO. Made a few videos on YouTube and linked them to my blog in the description, generating additional traffic. This also helped me generate backlinks. Submitted my blog to Web 2.0 + Social networking sites. Note: Don’t build more than 50 links using them in a day. Created a logo using a free online logo maker. You can hire someone from Fiverr which usually cost about $10. Set Up Facebook Instant Articles. Add “Contact” page and “About” page. Configure push notifications for getting return traffic. Start building an email list. You can find a list of best email marketing services here. You can later give them interesting deals related to your industry & earn commissions via affiliate marketing. You can read about affiliate marketing over here or get this book which teaches you everything about it. The whole idea of the blog was to not do a lot of work and create a blog that was capable of earning money. For this reason, I didn’t invest much time on branding. 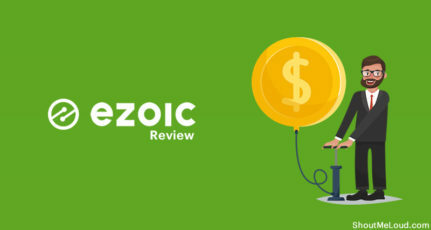 The goal was to get great search engine traffic, provide solutions, and quickly make money from this micro-niche blog. Remember, the blog had only 29 posts and had not been updated beyond the first month. At this stage, I had to prepare more content to push traffic again. I did not build a single backlink beyond submitting my site to Web 2.0 and my YouTube videos. I did not do any promotion apart from regular sharing on Social media. All traffic is organic and purely due to the SEO settings of the site. However, this approach may not work for everybody as it varies from niche to niche. For certain niches, competition is too high & the best way to make your blog rank is by generating high-quality backlinks. Here at ShoutMeLoud, you can find tons of amazing link building guides contributed by the community. Use the search button to find free link building articles on SML. 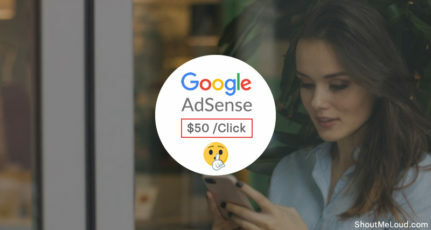 For the first couple of months, I only used AdSense, and later I added one affiliate product related to the iPhone niche, which generated an extra income of around $100/month. 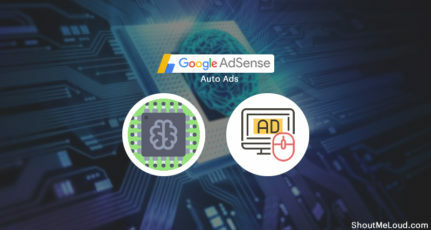 However, if you haven’t gotten AdSense approval, then you should use Media.net. Both of them work great if you have traffic from the U.S.A or Europe. With a $160 investment and 40 hours of work, I made over $2000 in one year. This blog is still making money. The idea is to create a few more niche blogs like this one, thus creating additional sources of online income. For now, this micro-niche blueprint is enough for any minimally experienced blogger to create a money-making site with just a few hours of work. If you have any questions, or if you have any tips to add, I would love to hear from you. Share your thoughts in the comments below! 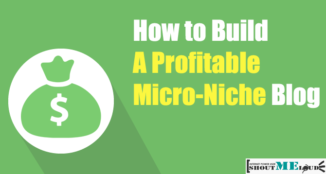 If you find this micro-niche site blueprint useful, don’t forget to share it! Exactly True. I Started a micro niche site after 2 times failure and money+time waste and now enjoying my blogging track walking slowly on it . 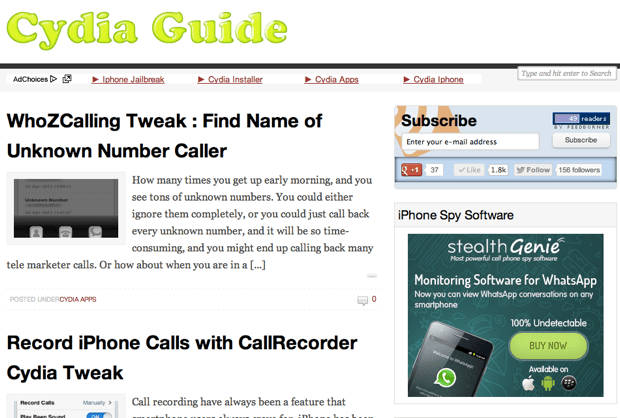 i have full control on my blog contents because writing on just on micro niche. Also there is no every time changes in cpc as multi niche sites owners face this problem. enjoyed the article. Good Piece Of Contents. how do i make money with a free blog. Is it possible to make money with free blog? What do you recommend now a days Harsh, a micro niche site with AdSense or amazon? For me, Amazon has been very good when compared to Adsense. Awesome article Harsh! I’m floored because I always thought you had to buy an old domain to get any google love for at least the first six months. Did you really start this site from scratch and have a ton of traffic a short time later? I thought that was impossible??? Hey Harsh very informative info sharing in your post. I agree with you that’s domain select, keyword planning and content is the main factor to build a micro niche site. I always follow you and try to best. Hi Harsh, Niche website is great for earn extra money instantly. and one thing i learn from this article is if you “narrow down the competition” you get better result. thanks for sharing this article. Ultimate guide. I am going to create a new micro niche blog and follow all the tips above. I wish there would be some articles to find niche. Write an article on this. This is interesting. Niche blog is a nice one to start. But it will for sure require more effort. To be candid, I am one of the people who started climbing the blogosphere tree from the top. Trying to go for the lion share without looking at the opportunities around me – that is narrowing down to a low competition niche. I taught I had learnt a lot but today, I learnt a fresh lesson all together. Just one question: Is it good to have the US as target audience in google search console when most of your content is targeted towards cameroonians (a low cpc location)? It should be the same/Similar. This was a kind of inspiration. AdsOptimal is a scam and now shut down. Media.net is pretty awesome. Thanks for sharing a wonderful article, this helped me in creating different websites and the ideas you gave for finding a topic for our niche was really amazing.